At Cummins Filtration we are committed to providing our customers with superior technical support and customer assistance. In addition, we offer a unique training program to equip customers with the information they need to make informed decisions regarding their filtration requirements. Our Fleetschool program encompasses three levels of training. 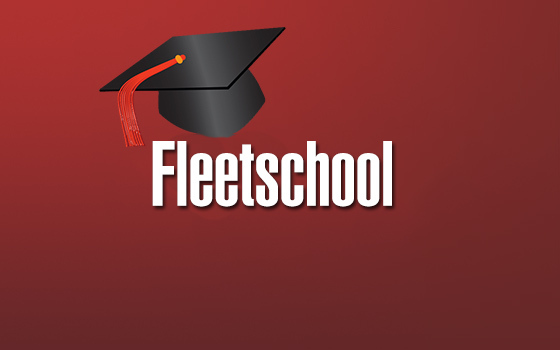 Levels one and two consist of online training modules conducted at Fleetschool, our online training portal. As filtration technology constantly changes to keep pace with new engine technology, Fleetschool is your most dependable resource for updated product and market information. The program features easy-to-use, self-guided training modules that cover a wide variety of modern filtration and conditioning product topics. With short tutorials, self-assessments and online course monitoring, Fleetschool is an excellent training tool for trainees to become filtration experts from the convenience of their location. If you do not have an account, you can request one, and a Fleetschool administrator will create your account. You will receive a confirmation email within 24 business hours. Email updates on new training courses, as created. In addition to level one and two training, level 3 advanced training is available to filtration specialists in the Fleetguard dealer and distributor network, subject to manager’s approval. Level 3 training is led by our Technical Services Supervisor in a classroom environment at an agreed location. It is conducted over a two day period and is subject to minimum attendee numbers being reached. Completion of levels one and two training at Fleetschool is a pre-requisite for enrollment in level 3 training and trainees will be required to provide certificates for verification. Title * - Select -Mr.Ms. Completion of levels 1 & 2 is a prerequisite for level 3. You will be required to submit your certificates for levels 1 & 2 prior to enrolment in level 3.